Use your USB 3.0 devices such as hubs or printers with newer Type-C computers that are manufactured with today’s newer technology. With the Type-C reversible connector, it doesn’t matter which way it is plugged in at your host if you’re unable to see it, it will connect upside down or right side to. New USB 3.1 Gen1 Type-C to Type-B Cable. Allows for the continued use of older USB 2.0/3.0 devices with newer Type-C enabled computers. Will work with Gen1 operated devices with a type-B female connector. 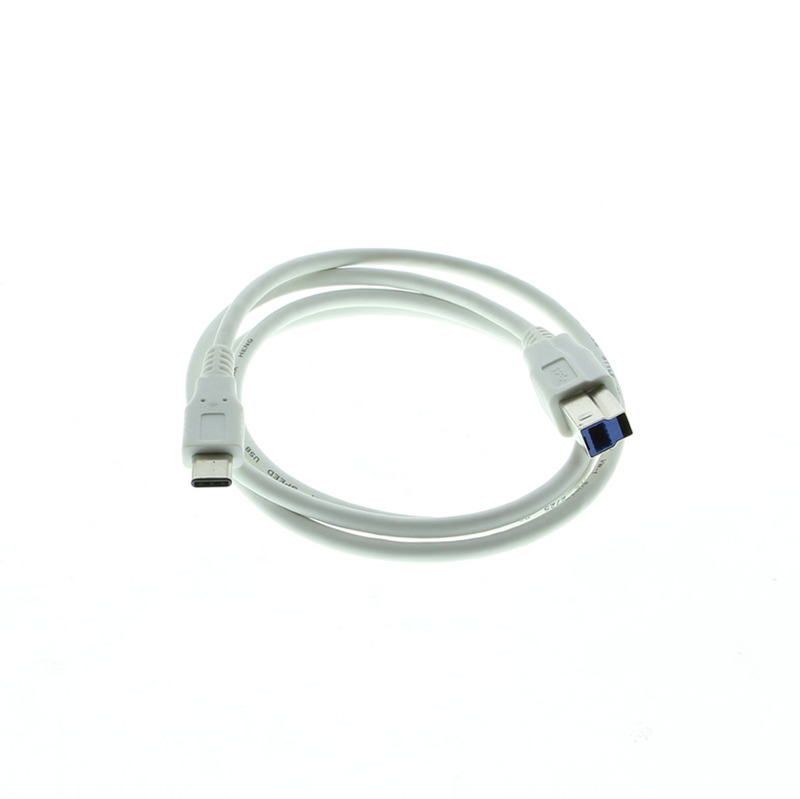 This USB device cable is constructed with the new Type-C Male connector that is reversible allowing you to connect regardless of the orientation, this helps to increase your efficiency in making your USB connection to your host port, the power and ground pins work either way. With newer computers manufactured with the new Type-C port host female receptacle, the USB 3.1 device cable will aide you in continuing to use your older USB 3.0 devices. Allows USB 3.1 Gen1 Printers or Hubs to operate with newer Type-C USB port technology.